10-year-old Bella Palmer competes on American Ninja Warrior Junior. While many young children fantasize about being a ninja, 10-year-old Bella Palmer of Woodbury can legitimately say she is one. 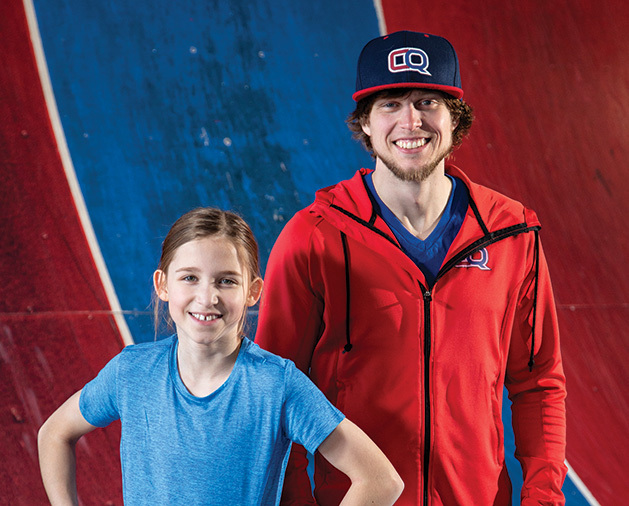 Palmer was one of 200 children selected from around the country to compete on television’s American Ninja Warrior spinoff for youth competitors, American Ninja Warrior Junior. Over the course of 20 weeks, the young competitors travelled to Los Angeles from all over the country and squared off in three separate age group brackets (9 and 10, 11 and 12, and 13 and 14) until only one was left standing in each bracket. The show is hosted by Matt Iseman, Akbar Gbajabiamila, and gold medal-winning Olympic gymnast Laurie Hernandez. Bella was first introduced to the sport at the Conquer Ninja Warrior gym in Woodbury. The gym is designed for kids and adults, and provides trainers who have diverse backgrounds in obstacle training, including some who have competed on the adult version of the show. Ninja obstacles test a competitor’s balance, upper-body strength and grip. Less than a month after trying ninja, Bella competed for the first time and qualified for nationals. Bella, who calls herself “Wild Ninja” for her love of Minnesota Wild hockey, trains at the ninja gym in Woodbury three to four times a week with a group of other kids, and she also now has ninja obstacles in her basement that she built with her dad. “Now she’s asking for a peg board and cliff hanger in her bedroom,” adds Lindsey. 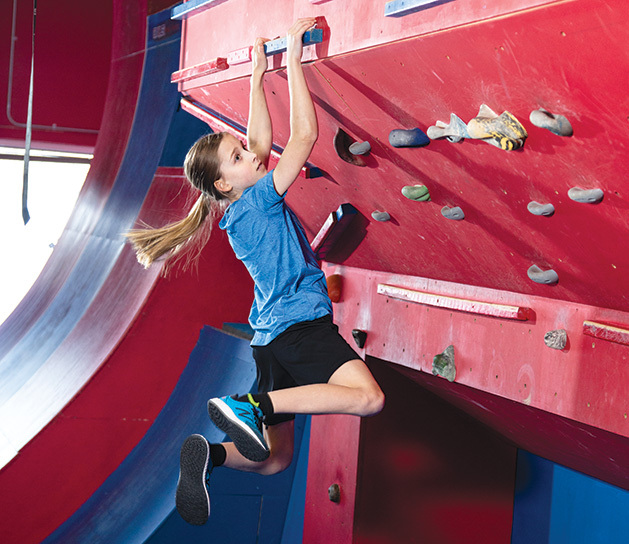 Bella is the youngest girl in the nation to conquer the 14.5-foot warped wall. (For context, that’s the height of the wall on the adult show.) Bella says that she’s made new friends via ninja training, and looks up to her coach Alex Jurgenson, who always cheers her on. Bella Palmer and her coach, Alex Jurgenson. As for her television debut, Bella travelled to Los Angeles for several days of filming. The show launched last October on the Universal Kids network, and Bella’s episode aired in March. She won her first two races, but lost her third race after falling from a Tick Tock obstacle, where she had to jump from a swinging device to a cargo net. “I didn’t do as well as I wanted to, but I am excited to go back next year,” says Bella. Icing on the cake? Bella just took first place in the National Ninja League World Championships in February. "She beat the boys," says mom Lindsey, "which has never happened. And not even close—the next-place boy was two minutes slower. We are so, so proud!" Follow Bella’s adventures on social media @ninja_bella_9. American Ninja Warrior Junior airs on Saturdays at 6 p.m. on the Universal Kids network.